Sizes from 38" to 54" Chest! 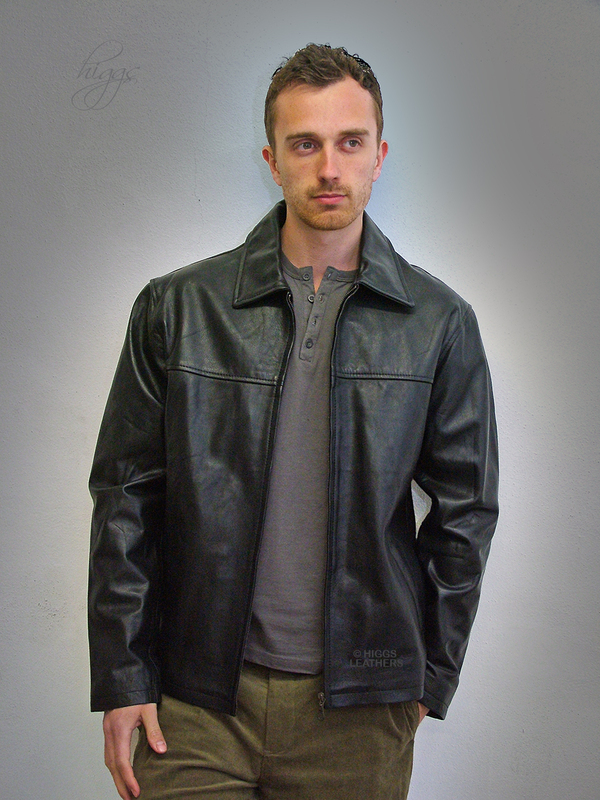 From our wide range of men's casual style leather zip jackets! Classic casual Jasper design men's black leather jacket, without lots of fussy detail, made from extra soft Lamb Nappa skins. Small shirt style collar, straight easy cut body that fastens with a strong antique metal zip and sleeves that will fit over thicker clothing. Two slanted outer pockets and two full sized inner pockets (one with a zip). If you want a high quality casual jacket, you won't beat this one! Also available in heavy weight Cowhide for extra hard wear. Jacket length approx. 27" (68.5 cm) in smaller sizes up tp 29" (74cm) in bigger sizes.